If you are new here, hello! 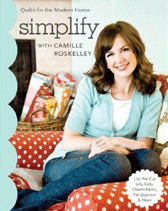 I'm Camille Roskelley. 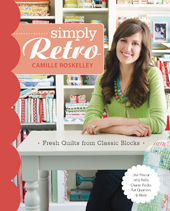 I am a quilter, blogger, fabric and pattern designer, and teacher over at Craftsy. Nice to meet you! I love a good recommendation. In fact, these days almost everything I buy is because a friend recommended it. 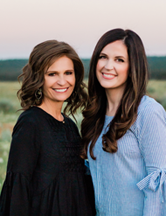 A new show? Sure! Great tacos? I'm there. A new thread or quilting ruler? Hooray! 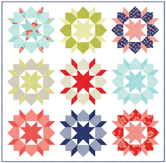 Anyway, I was thinking, I don't think that there is a place on my blog that I have actually given a rundown of the supplies that I use when I quilt. Machine, thread, iron, rulers, etc. That needed to change! So, I thought I would keep an updated list here of the supplies I love and use most. Now, keep in mind, these are just a few of my favorites. I'm sure there are a million great produts out there! Disclaimer: Aside from Moda and Aurifil (both of which I used long before we were friends), none of these companies even know I exist. I just buy and love their products. That being said, here goes! Sewing Machine: I get a lot of questions about recommendations on sewing machines. And I am always so hesitant to recommend any product I haven't personally used, so that makes it a tough question to answer. I use a Bernina 430 that is probably 5 years old now, and have been really really happy with it. I don't think you can go wrong with a Bernina, but they aren't an inexpensive machine, so you have to know you are going to really use it before you commit to one. But trust me, you won't regret it! I have also heard wonderful things about Janome and Juki. 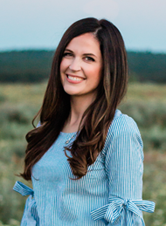 If you are looing into a machine, a quick google search of the machine name and "review" usually brings up a blog post, review site, or forum that will help. It's a good place to start! 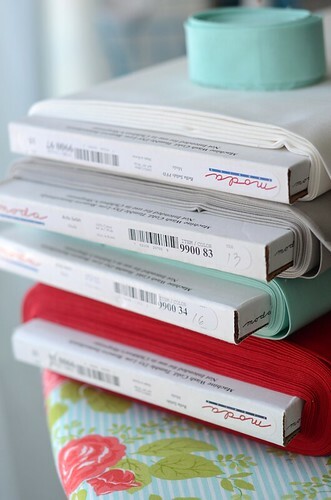 If you have a sewing machine that you love, please feel free to tell us about it in the comments section below. You might help somebody else out! 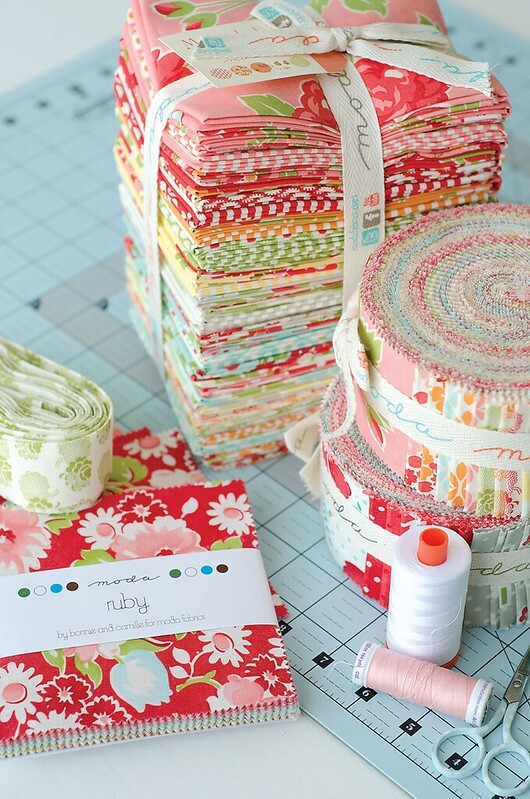 Fat Quarter Bundle: One 18" x 21" piece of each fabric in a collection. That tall pretty stack in the back of the photo above. Layer Cake: 42 squares of fabric from a collection, each measuring 10" x 10". Not pictured. 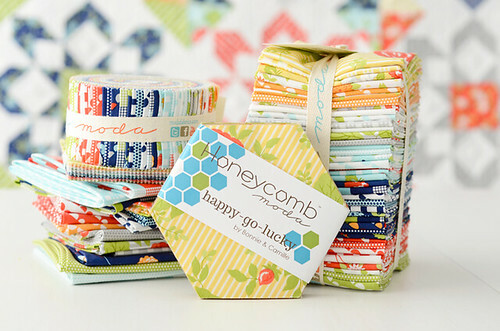 Honeycombs: 40 awesome precut hexagons about 6" tall. Photo below. Just a note on the quantities, these are what Moda provides in their precuts, but will vary if you buy other brands. Just a heads up! White fabric: I use Moda Bella Solid in Bleached White (97) for pretty much everything. Seriously, I have started buying it by the bolt. It's perfect! More on that here. 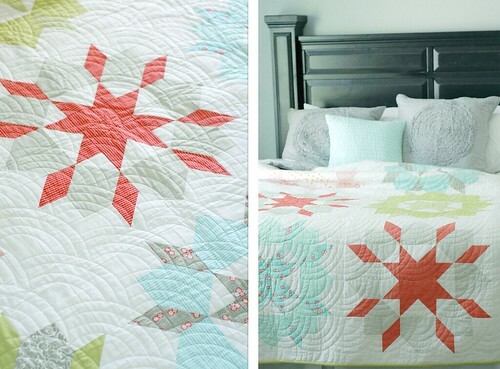 Ruler: Like almost all quilters, I love a fun ruler. However, to be honest, there is one ruler I use probably 90% of the time. It is just an inexpensive 2" x 18" ruler from the EZQuilting brand. I love it! 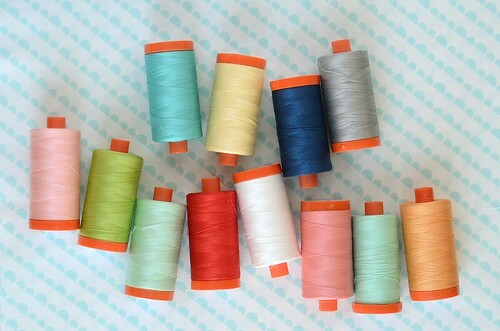 Thread: A few years ago I ran out of thread and picked up my first spool of Aurifil at my local quilt shop. It was love at first stitch and I never went back. I use the 50wt white for all of my piecing, and the 50 wt in other colors for everything else. You can read more about my love of this thread here. Scissors: Believe it or not, I don't have a certain scissor that I love, even though I think I've tried most of them by now. (Scissors have a way of disappearing around here... kids!) Although I do reccommend having a little pair of embroidery scissors handy when you are quilting. I use these little polka dot ones (not sure of a brand?) I found at a local quilt shop. They are adorable. 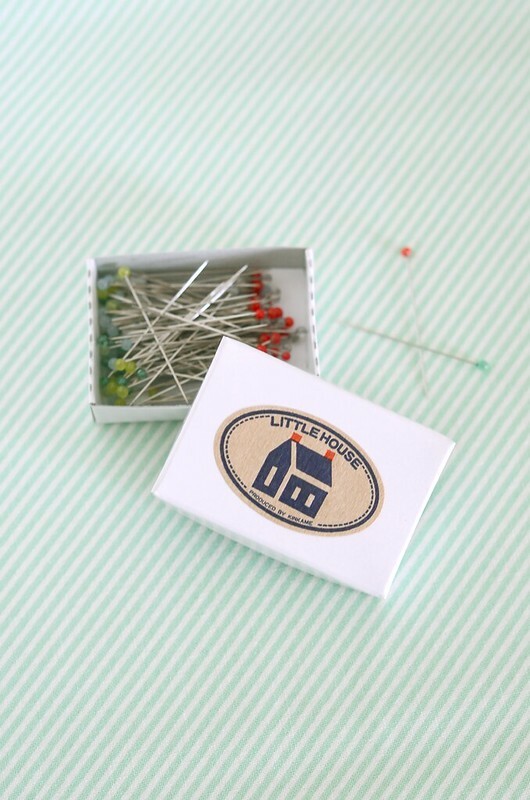 Pins: I absolutely ADORE Little House pins. A friend sent them to me a few years ago (thank you Carrie!) and I immediately replaced my yellow head pins with them. They are sharp, fine, darling little pins, and my piecing is better because of them. update: Apparently you've cleaned Carrie out and can't seem to track them down elsewhere, so I will carry the pins in my shop for a limited time. You can find them here! Clover clips: I'll never bind without them again! Iron: I use a Eurosteam steam iron, and while I love (!!!) using it, and it makes the absolute best steam I've ever found, it is also a very unreliable thing. It has to be sent in to be repaired frequently, which is really frustrating. That being said, I can't live without it! Now, this isn't all of the supplies I use, but I think they are all the ones I wouldn't want to live without in my sewing room. I hope this list is helpful, and I'll keep adding to it if I find more stuff I love. Of course, if you have any suggestions of new things I need to try, I'm all ears.